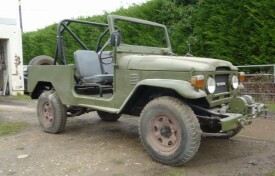 Certain to put the wind up Rambo and Tarzan, and wilt tree huggers and traffic wardens, this FJ 45 offers a unique opportunity to face Brexit and Armageddon with complete impunity. 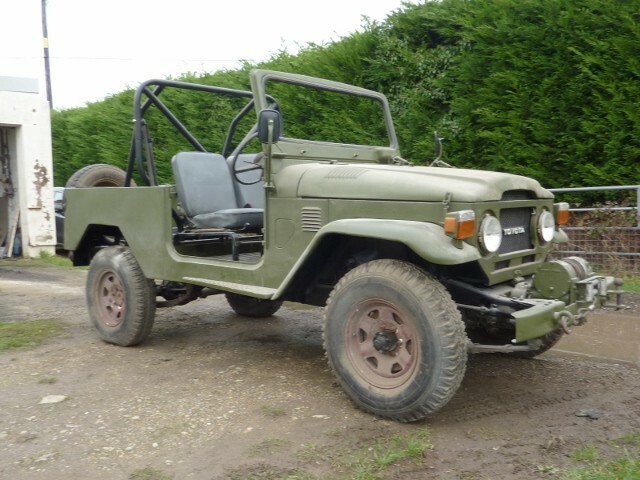 It was acquired by the vendor from a deceased estate some ten years ago as a true basket case and has been transformed into a sturdy Jeep-style fun vehicle with the benefits of the beloved Land Cruiser in an awesome form. 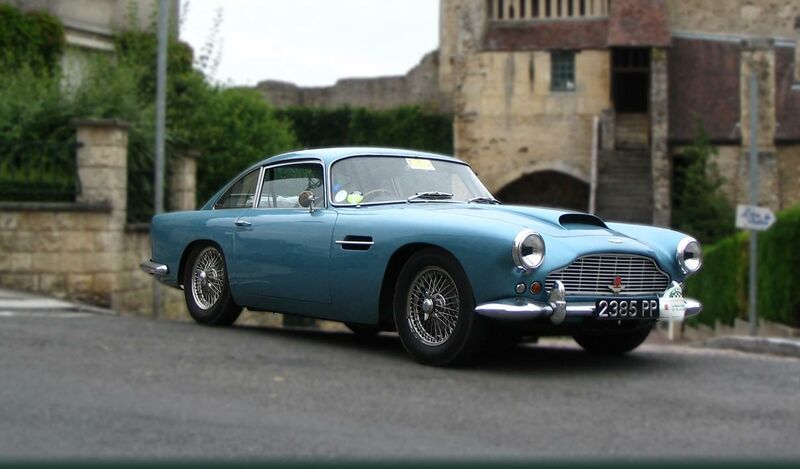 The chassis has been shortened and rebuilt using the standard Toyota mechanics of a 4230cc six cylinder petrol engine, driving through a four speed manual gearbox with both high and low ratios. Much of the original front of the bodywork has been retained, but the vehicle has a new rear section and is fitted with a substantial rollover bar. Doors are included in the sale but as they are perhaps not necessary, they were not fitted at the time of our visit. Sadly, the vendor’s strength is diminishing in inverse proportion to the progress of the project, and an impending house move comes with lack of space to complete the project. Obvious remaining tasks include a thorough mechanical check over (including the braking and steering systems and the drive train). The engine is known to have run in the last couple of years and may well do so by the time of the auction sale, but the vendor advises us that the water pump does require rebuilding or replacement. Electrics are in and working apart from a windscreen wiper; the cockpit has original instrumentation, which we understand to be working, and there is an all-important heater. The folding windscreen requires flat glass but the seats are present and in fair condition. Happily, the vehicle comes with a modern V5C registration certificate and an original sales leaflet. An MOT will be required before returning the Land Cruiser to the road. An amazing opportunity to take something a little different to the shows this year, and for the residents of Sandringham Estate, an absolute must.